If only life were as simple as smiling for the camera. After years of braving the Arctic's frigid temperatures or endless hours tracking the Spirit Bear to capture the perfect shot for National Geographic, Meg Jeffries decides to move back to the city-San Francisco. She wants a life with more stability. The kind that lets her see her family more than once a year and comes with owning a toaster or a full-sized tube of toothpaste. But creating her new -normal- is not without its obstacles. Meg is confident and successful behind a camera. A little extra publicity can't change that... until it does. Westin Drake is famous for fast cars and box office sales. Yet he's a terrible driver and secretly hopes his fifteen minutes is almost up. West moved from Los Angeles to San Francisco, looking for some substance and time near his family. But now that the buzz of his next film, Full Throttle - Floor It, is hitting maximum fervor, West keeps everyone at arm's length so he can protect the people he loves... until he can't. When the public mistakes a simple kiss on the cheek for a budding romance, Meg and West are caught in a media frenzy. Somewhere amid the backseat getaways and plastered smiles, Meg discovers the man behind the glossy photographs, and West wonders how he'll ever let her go once the cameras stop rolling. Love is never simple, especially when the world's watching. 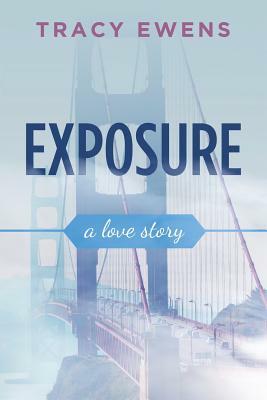 How much are two people willing to expose for a chance at a true happily ever after?